For some reason, cities that have gone through traumatic experiences and intense stress will tend to rebuild in a more creative and imaginative way, resulting in a “special city”. Think about cities like Athens or Istanbul who have had their share of invasion through the past 3000 years. Or more recently how Berlin has become a center for subculture after all it went through during the cold war. 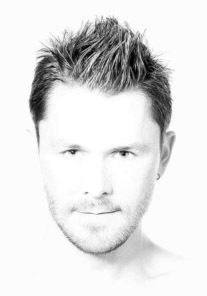 Krakow is part of this victim group, and after all the horrific events it lived during world war 2 with the Nazi camps and massive destruction, it is now flourishing in a very interesting and special way. Krakow is a must visit for anyone and a historical paradise for those passioned by 20th-century history like me. 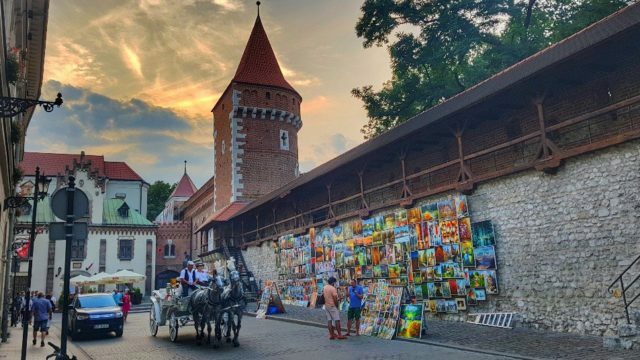 Having more than 25% of Jewish population before world war 2, it is obvious that the war will be the most omnipresent theme of any visit to Krakow. And where else to learn more about the events than in the Jewish quarter? Back in 2005 when I first visited Krakow, this part of the city was still a complete mess, and not that visitable for tourists. But during this visit, about 13 years later, I was surprised how the artistic community have taken over and created the most interesting part of the city to spend time, in my opinion. It is filled with Hipster cafes all over the place, some of the most beautiful I’ve seen around the world (see my list of must-visit cafes bellow). Even the food in fast food joints in the ancient Jewish market is a delight! Small bars are popping on every corner with amazing polish craft beer on display, as well as great culinary dishes! 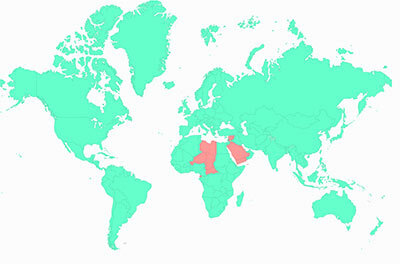 Most of the highest ranked restaurants online are now found in the old Jewish quarter, even more than in the old city. I also highly recommend you take part in one of the free Jewish quarter tours to immerse yourself deeper in the experience. Then of course, the old town is always as beautiful as it has always been through its over 1500 years of history. 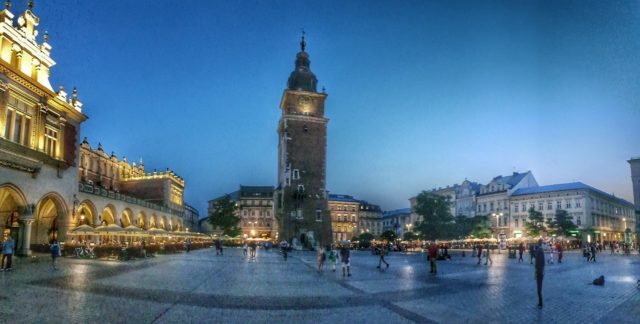 As I have stated in my other articles about Poland, Warsaw and Gdansk have the most beautiful old towns in my opinion, but none are as grandiose as Krakow, with its cathedral and its gigantic main square. 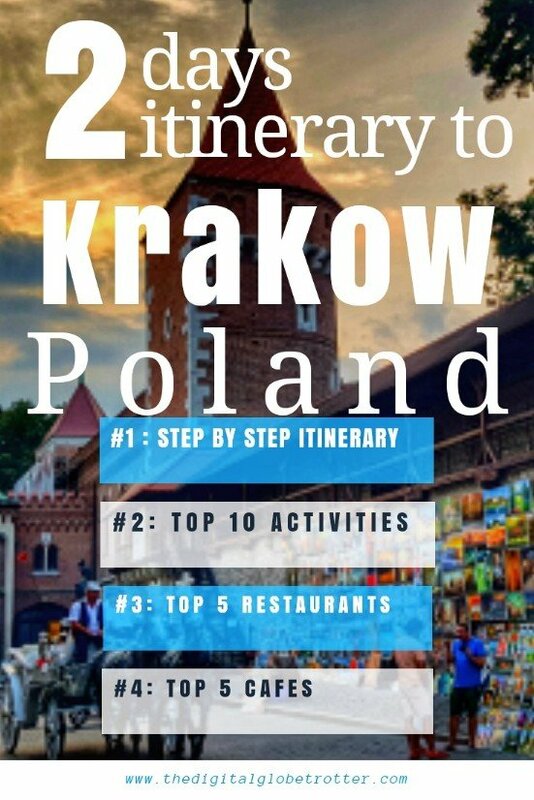 It makes of a very good visit and it is no wonder Krakow is number one in tourism in Poland, all year around. 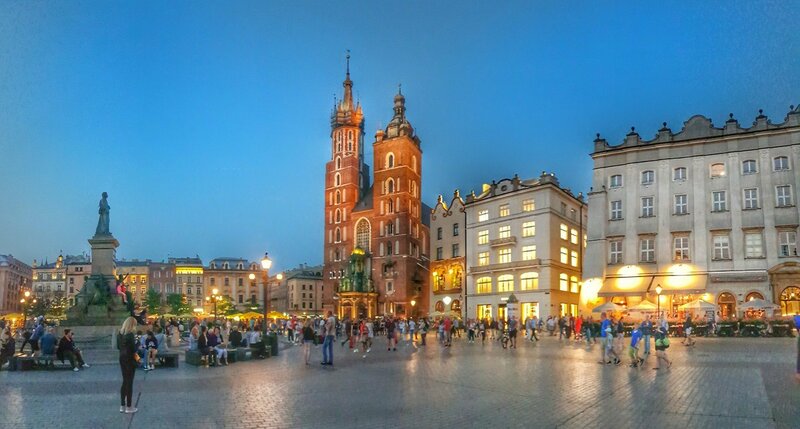 The main highlight of Krakow is the Main Market Square, Rynok Glowny, where you will find the St. Mary’s Basilica in Krakow. In the middle of the square is the ancient Market where still today you will find craft shops, as well as the Pharmacy Museum and other museums worth visiting. After visiting the area, continue on Florianska Street all the way to the Florian Gate which used to be the main entrance to the city. In front of the gate is Krakow’s Barbican, a strong defence system that kept invaders outside for centuries. The next interesting street is Grodzka Street, as well as Szewska. Continue the visit to the Wawel Hill to visit the Wawel Castle, another highlight of Krakow overlooking the city from the hills. 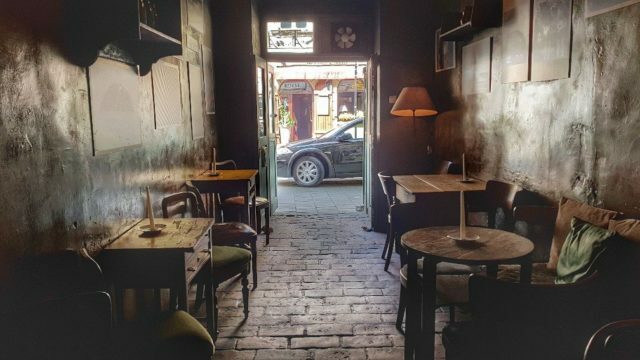 After lunch in the old town to one of the many great restaurants, head to Kazimierz, the Former Jewish District. Go around its streets to sample the hipster artistic life that is being settled in its walls. The Old Jewish Synagogue on the east that is worth visiting. 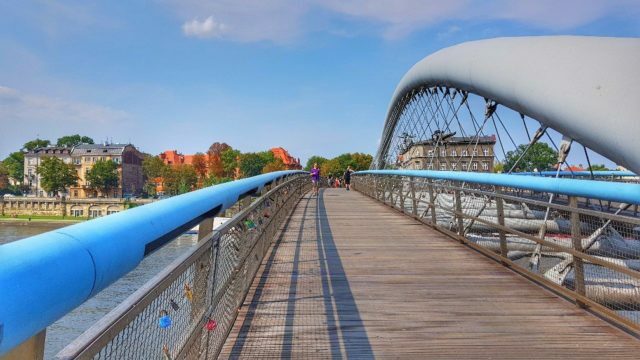 Continue the journey across the bridge to the Former Jewish Guetto where Nazis had imprisoned thousands of Jews from the rest of Krakow during World War 2. From there, visit the Ghetto Heroes Square as well as the Oskar Schindler’s Factory Museums. 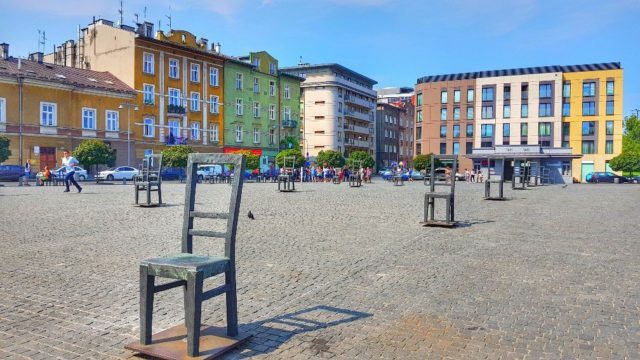 Coming back to the Jewish Quarter, try dinner at one of the food stalls in the Plac Nowy and visit one of the many amazing bars around the square, such as Alchemist Pub. The Next day, make the trip to Auschwitz-Birkenau and visit the famous Memorial and Museum Auschwitz-Birkenau. Another tour worth trying around Krakow is the Salt Mines, which is a network of tunnels and structures including dozens of statues and four chapels carved out of the rock salt by the miners. 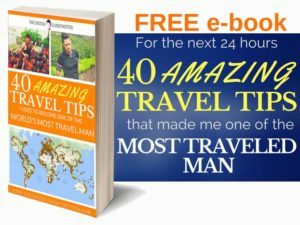 Tagged backpacker, backpackingdream, budgettraveller, digitallifestyle, digitalnomad, europe, Poland, remotework, rtw, Travelling, traveltips.